We were at a get together dinner with both sides of my family, my parents and my mother-in-law, my brother and sisters-in-law, when we were discussing about helping my mother-in-law with her banking facilities. We talked about how we can help her as all banks are soon moving fully into digital banking. 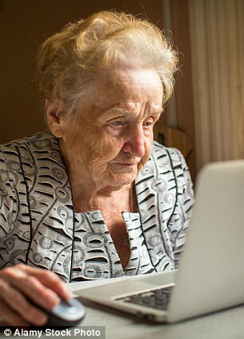 It was then when I thought that banks should have a specialized paid and premium service provided to elderly folks who have problems with the digital world. They really have no concept of the online world let alone knowing how to get around apps and email accounts and online banking. I have been in the service of several digitally challenged older folks and I spend quite a lot of time with them helping them figure it out and more often than not, I am showing them the same things over and over and over again. This is not a trivial matter. They will have a big problem when the banks goes fully digital. And moreover, they are less able to avert themselves from scams, phishing and malware. So I think it is necessary for banks to still offer some sort of specialized service for them, albeit at a price because they will pay, so that they can still use the banks like how they used to in order to manage their funds.